Since the MINI’s launch in 2001, the company has unintermittedly donated a one-off vehicle to be auctioned for the Life Ball in Vienna, and this year is no exception. 2012’s offering, which is based on the MINI Roadster, has been designed by Franca Sozzani, the chief editor of Italian Vogue. 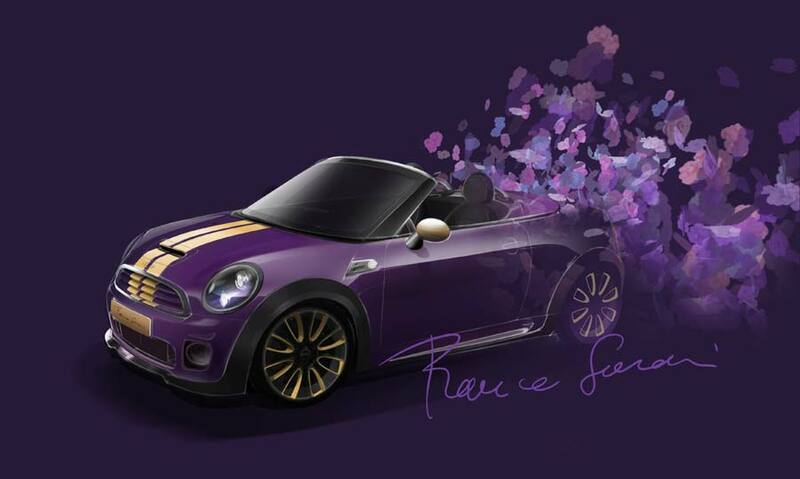 Finished in ‘Deepest Purple’ matt paintwork with sporting rally stripes, the exterior mirrors and alloy wheels feature steel-coloured accents, while the Roadster’s fabric roof displays a floral design. This unique model will go under the hammer as part of the AIDS Solidarity Gala on Saturday 19 in the Hall of Ceremonies. At present, the cars have generated over € 500,000 for the charity.